Located at the Shihhueikeng sector of Leshan village, Shulin Incineration Plant is the second one at large scale for the municipal waste of New Taipei City after the Hsintien Incineration Plant. The current address of the Plant is No. 212, Section 3, Zhongshan Road, Shulin Dist. The construction of the Plant began in 1992 on a 4.5 metric acres site and completed in 1995 and　the Plant began its commercial operation in the same year. 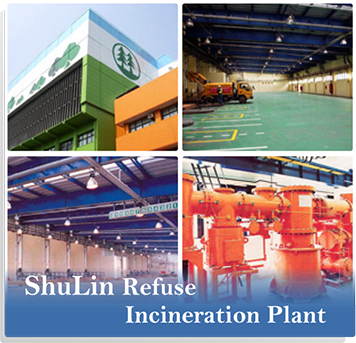 Shulin Incineration Plant is a government-own-private -operating plant whose operation and management are currently by CTCI and SESC. The supervision of the Plant is via the New Taipei City Government Environmental Protection Department with a consultant firm as assistance. 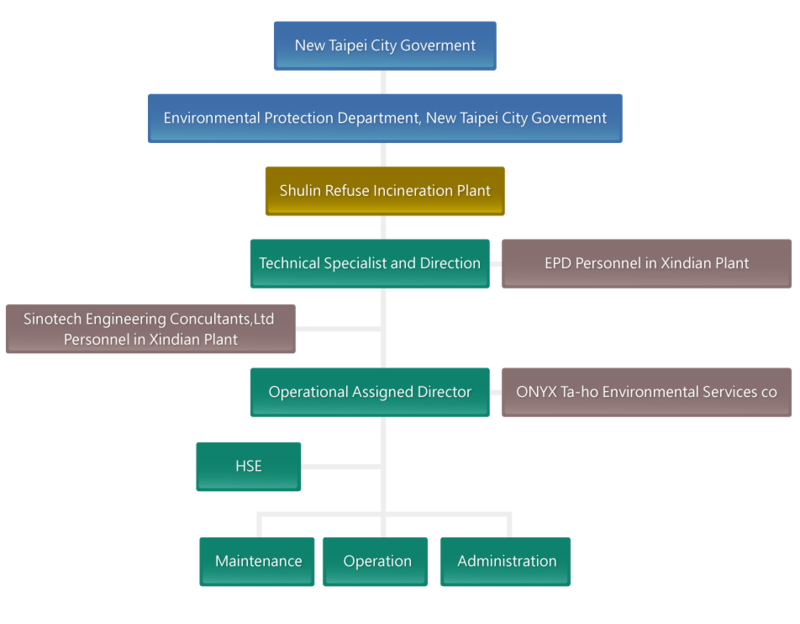 The main service areas of the Plant are Shulin, Yingge, Sanxia, Xinzhuang, Banqiao, Sanchong and Tucheng, etc. 3 boiler units, each capable of generating 39.15 t/h steam at 40 bar gauges and 400℃ with super-heaters and economizers, 24 hours continual all-day operation. 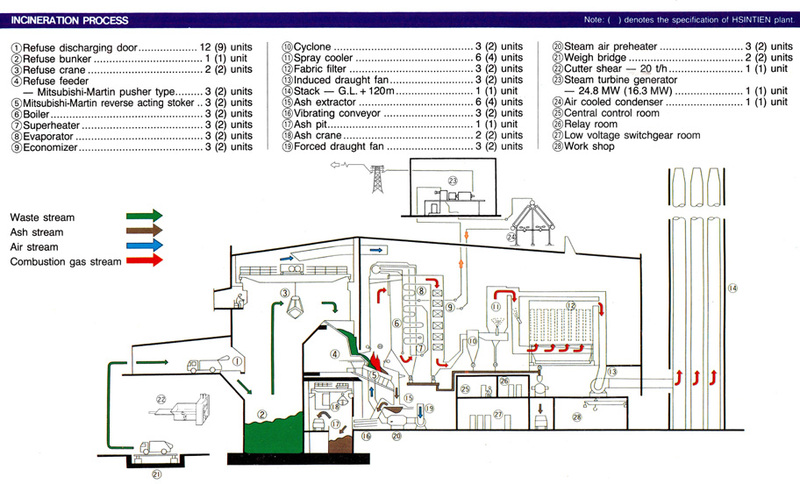 Condensing steam turbine with generating capaCity of 24.8 MW. Completely Cityributed digital control and monitoring system using microcomputers.